THE PERFECT INSTANT POT ACCESSORY! Made from High Quality, FDA Approved Food-Grade Silicone. Use in your Instant Pot or Pressure Cooker to make delicious Starbucks-Style Sous Vide Egg Bites or Ooey-Gooey Brownies! The functions of the Sensible Needs Silicone Molds are endless! 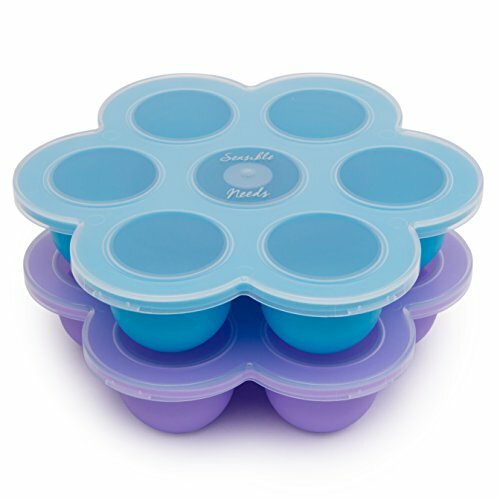 MULTIPURPOSE: 8 ¼ diameter Food-Grade Silicone molds - Use for Starbucks-style Sous Vide Egg Bites, Poacher Ring, Brownies, Popsicles, Baby Food, Yogurt, etc. PERFECT SIZE: Fits perfectly in a 5, 6 or 8 Qt Instant Pot. A Must-Have Accessory for your Pressure Cooker! STACKABLE SET: Make 14 Egg Bites in One-Go - Save Time by Making Double the Goodness! If you have any questions about this product by Sensible Needs, contact us by completing and submitting the form below. If you are looking for a specif part number, please include it with your message.